Today, I would like to wish you with all my heart a wonderful Christmas Eve. Despite all different traditions, some of you might not be celebrating this Christian celebration, others might unwrap their gifts tomorrow, some of us, like me, tonight. Nevertheless, what we all have in common is love and this is what I am wishing you, a night surrounded by the ones you love. As I adore the magic of this time of the year, I attached some photos of different designer installations to get you in the right mood. Enjoy! 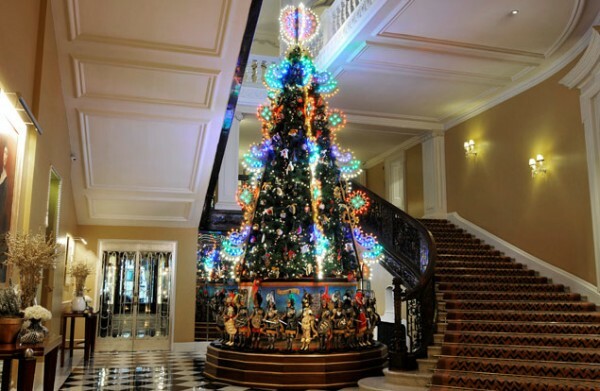 London’s famous hotel Claridge’s annual Christmas tree has been designed by long time guests and friends, designers Domenico Dolce and Stefano Gabbana. 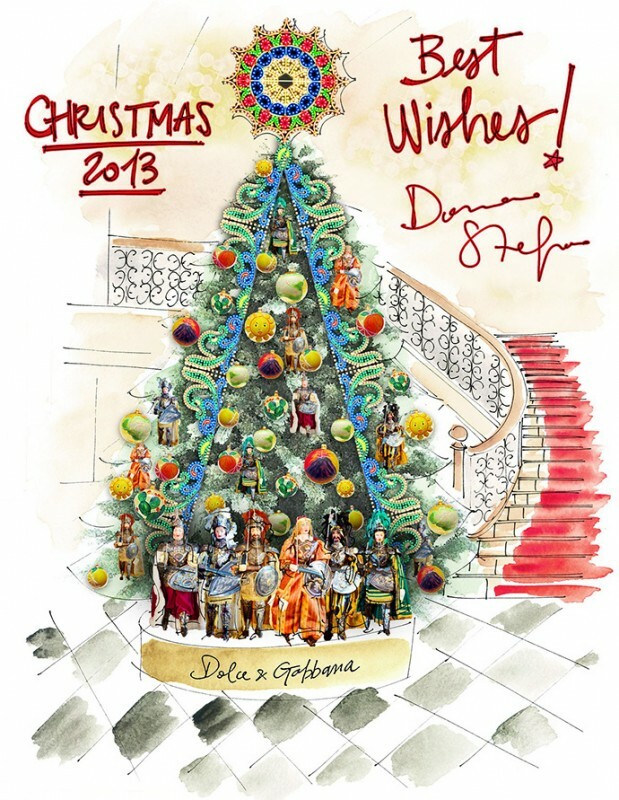 This amazing installation depicts iconic elements from a traditional Christmas tree reinterpreted with Sicilian elements that draw on the Italian heritage of the designers: hand-crafted Sicilian puppets known as ‘pupi’, hand-painted Italian festive glass baubles and a bespoke multi-coloured ‘luminarie’ framework created in southern Italy. 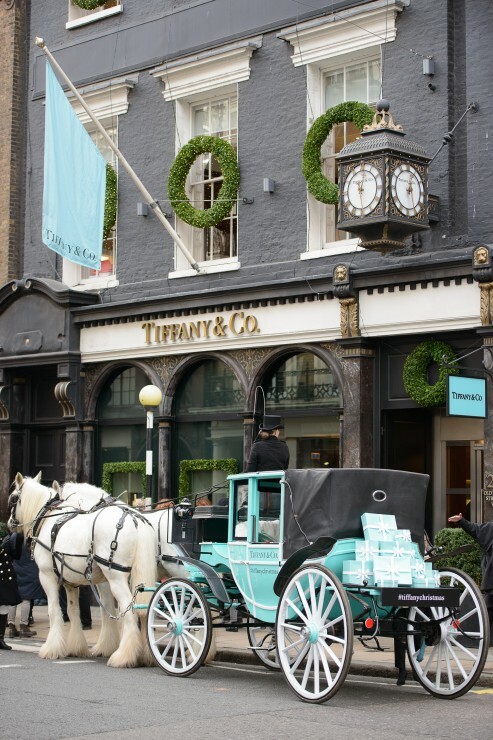 And of course, this message is spread around the world with the house’s global shopping window displays. 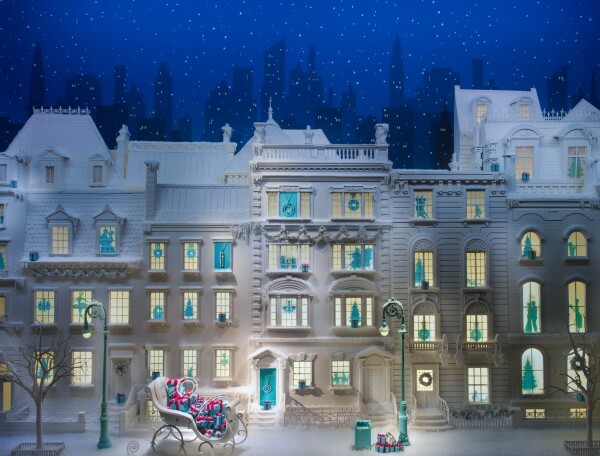 In Paris, Prada gave French department store Printemps holiday windows with a high-fashion touch. The display, entitled “A Joyful Obsession,” is a colorful creation that is classically Christmas with visual elements inspired by the Italian brand. 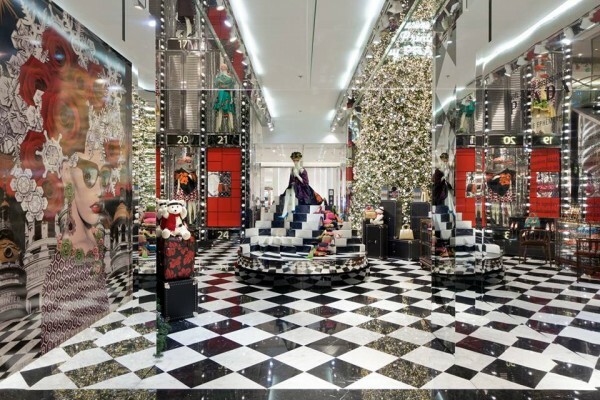 As part of the collaboration, Prada designed an exclusive collection with apparel, handbags, accessories and footwear. 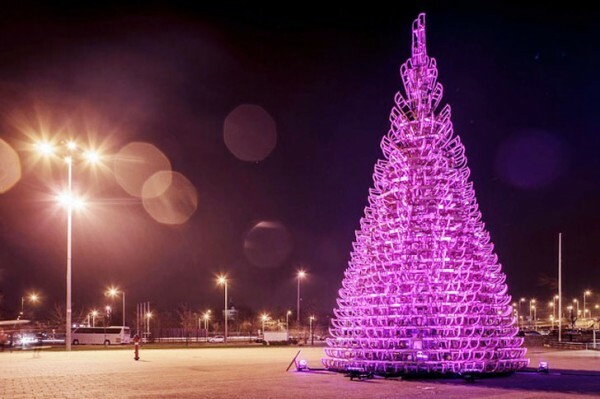 Here comes my favorite tree installation that can be found in front of the Palace of Arts in Budapest. 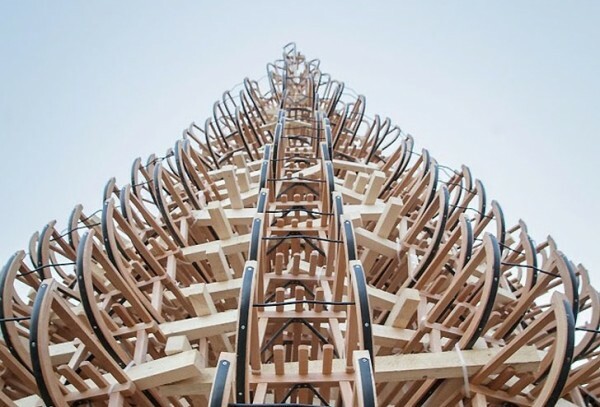 Made out of 365 wooden sleighs, the 11-meter-tall tree is a sustainable design endeavor which channels the true spirit of Christmas. After the end of the holiday season, it will be dismantled and the sleighs will be donated to kids living in the SOS Children’s Village homes in Hungary.